So elegant. So cute. So divine. 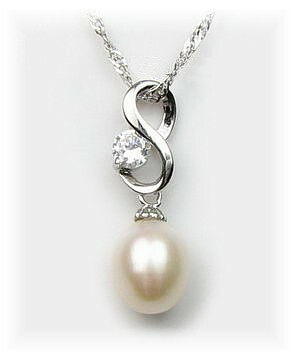 925 Sterling Silver lucky figure of eight, complete with scintilating Cubic Zirconium, tipped by a top quality 7-8mm cultured freshwater teardrop pearl. Threaded on a 925 Sterling Silver Snake Chain.